Matthew Charles Mullenweg (born January 11, 1984 in Houston, Texas) is an entrepreneur, web developer and musician living in San Francisco. He studied at the University of Houston, majoring in Political Science, before he dropped out in 2004 to pursue a job at CNET Networks. 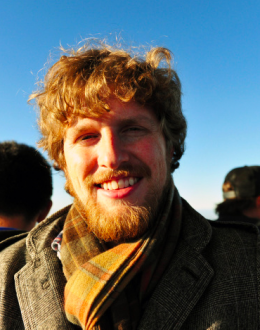 Mullenweg left CNET in October 2005 to focus on WordPress and related activities full-time, announcing Akismet several days later. He is the founding developer of the popular open-source blogging software WordPress and writes a popular blog Photo Matt. After quitting his job at CNET, he has devoted the majority of his time to developing a number of open source projects and is a frequent speaker at conferences. In late 2005, he founded Automattic, the business behind WordPress.com and Akismet. In October 2004, he was recruited by CNET to work on WordPress for them and help them with blogs and new media offerings. He moved to San Francisco from Houston, TX the following month. In December 2004, Mullenweg announced bbPress which he wrote from scratch in a few days over the holidays. Mullenweg gives back to the startup community through his angel investment firm Audrey capital, which has backed nearly 30 companies since 2008. In 2011 he backed Y Combinator startup Earbits. In July 2011, WordPress blogs pass the 50 million milestone, powering over 50 million blogs globally. Mulleweg’s 2011 State of the Word revealed that WordPress has grown to power 14.7% of the top million websites in the world and data shows 22 out of every 100 new active domains in the US are running WordPress. He has been named one of PC World’s Top 50 People on the Web, Inc.com’s 30 under 30, and Business Week’s 25 Most Influential People on the Web. In December 2012, Mullenweg was listed in 2012 Forbes’s 30 Under 30 in Media.